Biz Tips: What’s a Fair Rate to Pay the Average Contract Content Writer in San Francisco? What’s a Fair Rate to Pay the Average Contract Content Writer in San Francisco? As someone who gets paid to write, it’s easy to forget the plight of the uninitiated. But imagine that you’re a first-time buyer of writing services. In this online writing store, you can buy a 1000-word blog post for $12/post or you can buy a couple taglines for a few thousand dollars. Take the real cost of employing a full-time writer — including taxes, benefits, and the real biggie: wasted time — and you’ve got your baseline. Don’t believe me? Then keep reading. I start by finding the average annual base salary of a full-time content writer in San Francisco. According to Glassdoor, that number is $66,513. To get the real cost though, we need a couple more steps. Disclaimer: I am aware that this number is much lower nationwide ($48,729 to be exact), but SF is where I work, so that’s what I’m looking at. If you figure that there are 52 weeks in a year and 40 hours per work week, with a salary of $66,513, the average full-time content writer earns an hourly rate of $31.98. As every employer knows, though, an employee’s salary or hourly rate is not even close to the cost of that employee. BLS data says that, in the private sector, “wages and salaries” account for just 69.7% of the cost of an employee to the employer. So if the base salary of a full-time content writer converts to an hourly cost of $31.98, the actual hourly cost to the employer is $31.98/hour plus the cost of benefits. 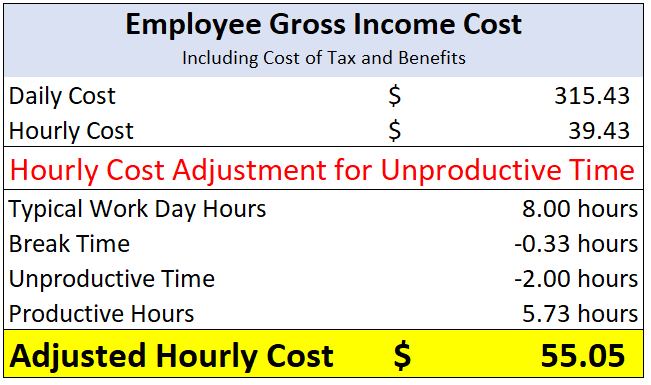 Since the cost of benefits is 23.3* percent of total compensation costs, you get the total hourly cost by marking up $31.98/hour by 23.3 percent. And that comes out to $39.43/hour. We’re still not comparing apples to apples because, with a contractor, an hour paid is an hour worked. If they waste time, it’s on their dime. If employees waste time, it’s on the employer’s dime. And employees waste between one and about four hours per day (depending on what study you read). So we’ve got another adjustment to make. Let’s be generous and say the average content writer only wastes 2 hours per day. Assuming this adjustment, you’re paying the average full-time content writer for 5.73 hours of work per day. Now add in the cost of benefits and taxes, divide it by the real number of hours worked, and your average full-time content writer in San Francisco costs $55.05 per hour. And that’s our baseline: $55.05 per hour. So if you’re hiring a content writer, assuming you want average work, expect to pay $55.05 per hour. 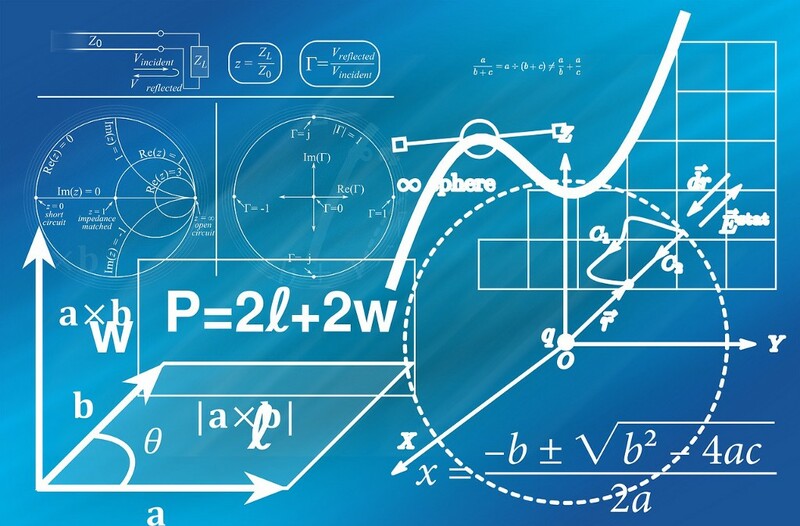 Put another way, if you believe Orbit Media’s numbers which say an average blog post takes an average writer 3.5 hours to create, then $192.67 is the average market rate for a blog post. This is what you pay for average content. And average content is more or less worthless when you consider how little return you’ll get from any content other than really good content. Writers: don’t think you must (or even should) charge this rate. Employers: don’t think you can achieve your content goals paying $55/hour. Use this $55.05/hour rate as a baseline and adjust it upward when you’re deciding on a fair price to pay for the above-average writer you should be hiring. The 23.3 percent markup was calculated by taking the total cost of taxes and benefits less paid leave because the calculated hourly rate was based on there being 52 weeks in a work year. What’s a Fair Rate to Pay the Average Contract Content Writer in San Francisco? was originally published in Marketing And Growth Hacking on Medium, where people are continuing the conversation by highlighting and responding to this story.